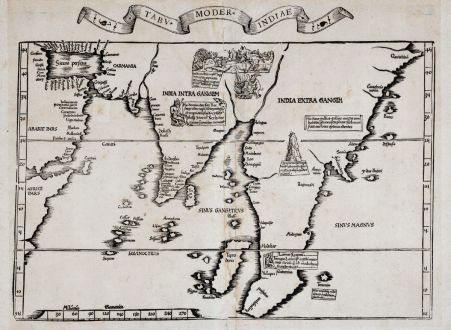 Early and important woodcut map of Asia by Laurent Fries after Martin Waldseemüller. 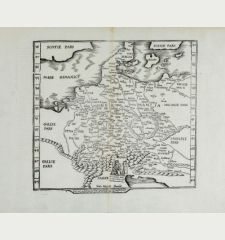 This woodcut map comes from the 1535 Lyon edition of Ptolemy's Geographia. 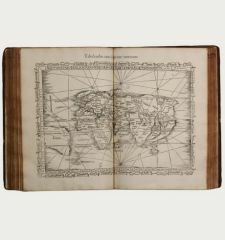 One of the earliest representations of the Portuguese discoveries in Asia and an important document on the early cartography of the Asian continent and Southeast Asia. 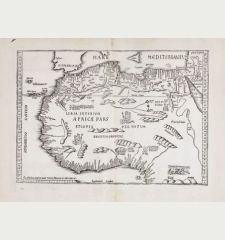 The woodcut map shows the Horn of Africa and the Arabian Peninsula with the Persian Gulf in the west. India and Sri Lanka are almost realistically represented, the Malay Peninsula is very dominant. In the northeast reaching up to China. 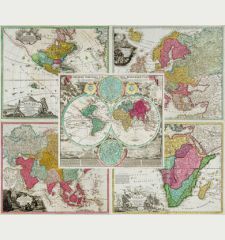 The cartography is largely based upon the Johannes Ruysch world map of 1507. 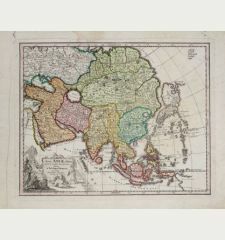 The modern map of Asia is geographically unchanged from the 1513 version as regards the delineation of the coasts, but is now embellished with annotations and vignettes. 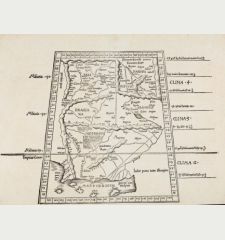 One of these, a generica image of a king lying above Malacca in the southern portion of Malaya, represents a kingdom not found on the 1513 prototype. It is said to be the kindgom of Lamai. 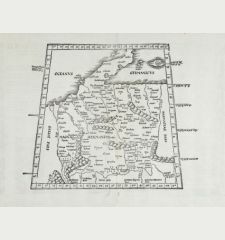 This is a corruption of the Lamia of the 1507 Waldseemüller map (the last two letters being reversed), which we have identified as Lan Na (Chiang Mai). 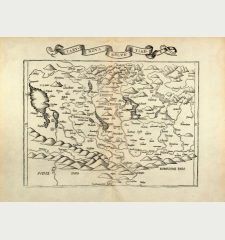 The only missing ingredient to clinch the identity of Fries' Lamai as Lan Na is the kingdom's namesake lake, which appeared on the Ruysch and Waldseemüller maps, but is lacking on the Fries version... 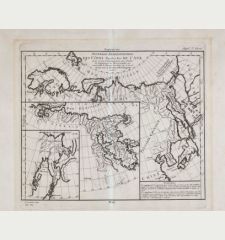 The inscription notes that silver and silks are transported from Lamai to Malacca. Around the centrefold creased and wavy. In the upper part of the centrefold a larger wormhole. Two small holes, a tear and the centrefold backed. Overall somewhat browned and stained.